While adoption of electronic health record (EHR) systems has grown rapidly, little is known about physicians’ perspectives on its adoption and use. Nationally representative survey data from 2011 are used to compare the perspectives of physicians who have adopted EHRs with those that have yet to do so across three key areas: the impact of EHRs on clinical care, practice efficiency and operations; barriers to EHR adoption; and factors that influence physicians to adopt EHRs. A group of researchers – Eric W. Jamoom, Vaishali Patelb, Michael F. Furukawab, and Jennifer King – concluded that purchase cost and productivity loss are the greatest barriers to EHR adoption among both adopters and non-adopters; although non-adopters have significantly higher rates of reporting these as barriers. Financial incentives and penalties, technical assistance, and the capability for electronic health information exchange are factors with the greatest influence on EHR adoption among all physicians. The article, “EHR adopters vs. non-adopters: Impacts of, barriers to, and federal initiatives for EHR adoption,” was posted online in the March 2014 edition of the Science Direct. The Aloha State has mortality rates that are lower than the total U.S. for the following causes: heart disease, cancer, chronic lower respiratory diseases, stroke, accidents, Alzheimer’s disease, and diabetes. Hawaii also has the lowest mortality rate in the country for chronic lower respiratory disease and Alzheimer’s disease, 2nd lowest cancer mortality rate, and 3rd lowest heart disease mortality rate. Hawaii also ranks ranks 46th in cesarean delivery rates (25% of all births), and has a much lower percent of people without health insurance (5.8%) than nationally (14.7%). But the state ranks 15th in preterm birth rates with a rate higher than the national average. Previous studies have focused on practice patterns of obstetricians/gynecologists or overall ambulatory care utilization by women (2–5). However, the amount of routine prenatal care delivered by obstetrics and gynecology (ob/gyn) providers and non-ob/gyn providers has not been quantified. Understanding which providers deliver prenatal care may yield valuable information about training and workforce needs. A new NCHS report quantifies the amount of routine prenatal care delivered by non-ob/gyn providers among women aged 15–54 who were seen in physicians’ offices, community health centers, and hospital outpatient departments. •At 14.1% of routine prenatal care visits in the United States in 2009–2010, women saw providers whose specialty was not obstetrics and gynecology (ob/gyn). •The percentage of routine prenatal care visits that were made to non-ob/gyn providers was highest (20.5%) among women aged 15–19. •Visits to non-ob/gyn providers accounted for a higher percentage of routine prenatal care visits among women with Medicaid (24.3%) and women with no insurance (23.1%) compared with women with private insurance (7.3%). •The percentage of routine prenatal care visits to non-ob/gyn providers was lower among women in large suburban areas (5.1%) compared with those in urban areas (14.4%) or in small towns or suburbs (22.4%). During 2010–2012, the percentage of adults aged 18 and over who had no natural teeth was higher in nonmetropolitan areas than in metropolitan areas for all age groups. The percentage of adults with no natural teeth also increased steadily with age in metropolitan and nonmetropolitan locations. Among persons aged 85 and over in nonmetropolitan locations, 40% had lost all their natural teeth, compared with 31% of those in metropolitan areas. Among adults aged 18–44 years, the percentages were 3.8% in nonmetropolitan areas and 2.1% in metropolitan areas. March is National Nutrition Month and NCHS has been collecting dietary data on the U.S. population for more than 40 years. The primary data source for monitoring nutrition in the U.S. is the National Health and Nutrition Examination Survey (NHANES), which uses personal interviews, standardized physical examinations and laboratory tests. Through NHANES, NCHS obtains nationally representative data on dietary intake and behaviors, biomarkers of nutritional status, body measurements (such as height and weight) and body composition. NHANES data on dietary intake (food, beverages, and dietary supplements) are used to estimate food and nutrient intakes by the U.S. population and by specific age, gender, race/ethnic groups. Approximately 13 percent of adults’ total caloric intake came from added sugars in 2005-2010. Approximately one-half of the U.S. population consumes sugar drinks on any given day between 2005-2008. Use of dietary supplements is common among the U.S. adult population. Over 40% used supplements in 1988–1994, and over one-half in 2003–2006. Data from 2007-2010 showed that adults consumed, on average, 11.3 percent of their total daily calories from fast food. 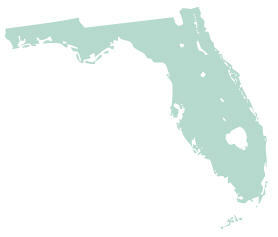 Among the 50 U.S. states, Florida ranks 3rd highest for cesarean delivery rates, and 4th highest in the proportion of births to unmarried mothers and preterm births. The Sunshine State also has a higher homicide rate and higher mortality rate from drug overdose deaths than the national rate, and has a significant larger proportion of its population without health insurance than the national average. However, among the ten leading causes of death in the U.S., Florida has lower mortality rates than the national rate for the following causes: heart disease, cancer, chronic lower respiratory diseases, stroke, Alzheimer’s disease, diabetes, kidney disease, and influenza/pneumonia. You are currently browsing the NCHStats blog archives for March, 2014.